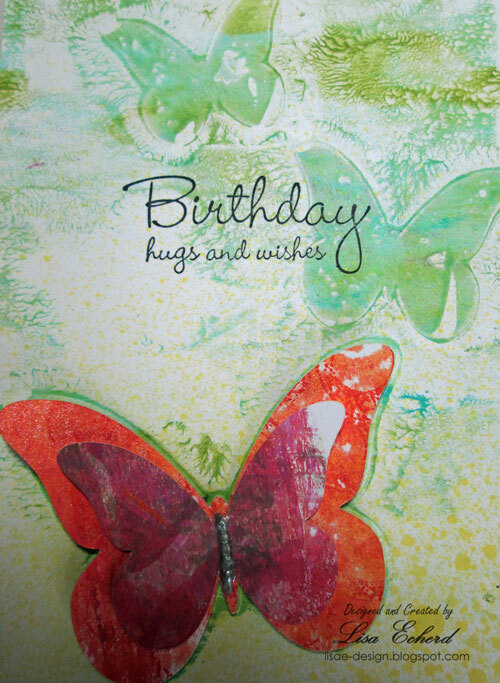 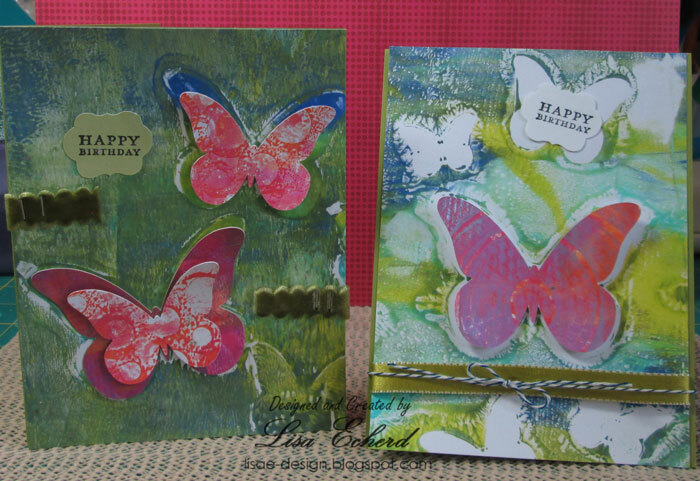 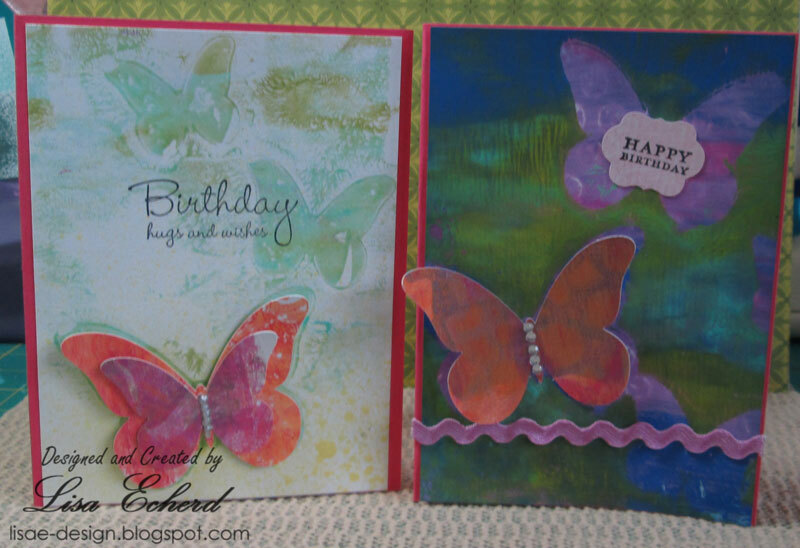 I like doing multiples this way as you use the same paints, images and trims but get different results with each card. Are you on Instagram? I am now as I finally moved into this decade with a Smartphone - though it is still a pay as you go kind because we are very frugal round here about telecom costs. 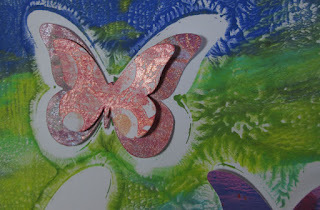 I like my new phone and I often share photos of things in progress. You'll see a couple of photos on my feed of projects in processs from this last weekend. 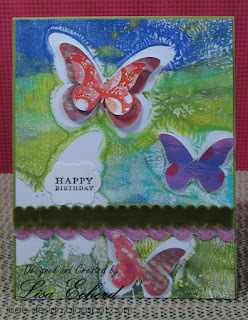 I had a wonderful crafty weekend with my friend, Karen. The projects will be posted in the next few days.